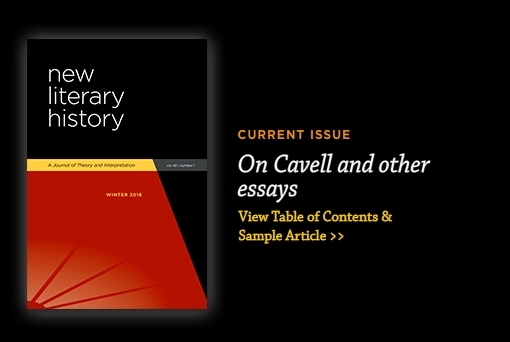 New Literary History focuses on questions of theory, method, interpretation, and literary history. It welcomes contributions from a wide range of intellectual perspectives. The distinctiveness of NLH lies in its commitment to scrutinizing the principles and procedures of interpretation, to rethinking theory and method, and to reassessing the current buzz-words and by-words of scholarly argument.